As you may have seen last week, Marg will be retiring from Library Loot this month after more than four years of hosting. She has been a wonderful, generous co-host and I will miss working with her. I intend to continue with Library Loot and so I am looking for someone to help by hosting the LL post every second week. If you think that you may be interested then get in touch with me before December 12. Self-Portrait as a Young Man by Roy Strong – Strong’s newest book, a memoir of his childhood and young adulthood. I finished this over the weekend and found it interesting but not nearly as absorbing as the other books I’ve read by Strong. The Wry Romance of the Literary Rectory by Deborah Alun-Jones – This engaging, attractive book explores the lives of writers and poets who were either the children of clergy – such as Tennyson and Dorothy L. Sayers – or who, such as Rupert Brooke and John Betjeman, were seduced by the romance and enduring values embodied by the country rectory. Perfect by Rachel Joyce – Joyce’s second novel after the best-selling The Unlikely Pilgrimage of Harold Fry. The Smartest Kids in the World by Amanda Ripley –In a handful of nations, virtually all children are learning to make complex arguments and solve problems they’ve never seen before. They are learning to think, in other words, and to thrive in the modern economy. In a global quest to find answers for our own children, author and Time magazine journalist Amanda Ripley follows three Americans embed­ded in these countries for one year. Oxford Dictionary of Humorous Quotations – is an explanation really needed? The Tall Stranger by D.E. Stevenson – I am loving this. It is a solid effort from Stevenson – neither extraordinarily good nor bad – which means it is perfect comfort reading. And I’m loving getting to see some of the characters from Five Windows again. 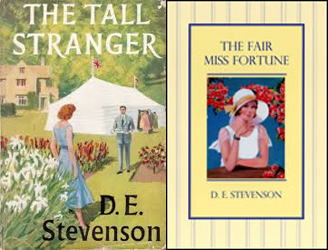 Its your two Stevenson books I am in love with! I almost always find something in your library loot to add to my reading list. 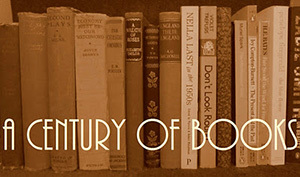 This time it’s The Wry Romance of the Literary Rectory – what a great title! 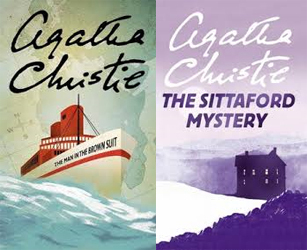 I think The Sittaford Mystery was in one of the recent Marple series (why it couldn’t be called MISS Marple, I’ve never understood). Anyway, if so, I started to watch it but now remember nothing about it. Thanks for hosting Library Loot. it looks like you picked up a nice variety of books. Enjoy! Always a literary treat for me, Claire. I’m reading Caddie Woodlawn, a children’s classic, for our book group next week. I’ve read it many times before, but, always enjoy it, especially toward the holidays. The third Maisie Dobbs, a Gail Godwin (just finished Evenings at Five), and a pretty book with a pretty cover whose name I forgot and am about to return to the library. I’ve checked out a few Christie novels from the library but wasn’t able to read them before they had to go back. I need to check them out again. Enjoy! I wish I could find all those Stevensons. This week I’m engrossed in Wally Lamb’s We are Water and going to start Stella Bain by Anita Shreve for which I have no great expectations. As mentioned above there was a Marple episode made about “The Sittaford Mystery”. However, Miss Marple is not in the book. The Miss Marple series has done this to several of the non-Marple books such as “Why Didn’t They Ask Evans” and some others. The Man in the Brown Suit is my favorite Agatha Christie, and one of my all-time favorite ”comfort” books! I also enjoy the Tall stranger, and have read it many times (probably because it’s the only DES I own…, but yes, still a good one).